Stone Oak Vision Source (San Antonio) - Book Appointment Online! 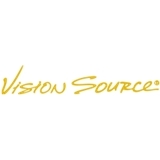 At Stone Oak Vision Source, our mission is to provide you with the best quality eye care. We are committed to performing comprehensive, thorough eye health evaluations for you utilizing state of the art technology. From our complimentary beverages, to our in house optical lab, we strive to make your experience the best possible. Service was very prompt with short wait times. All staff were very professional. Dr. IP was thorough in her medical explanations. Overall selection of frames and general cleanliness of building was great.